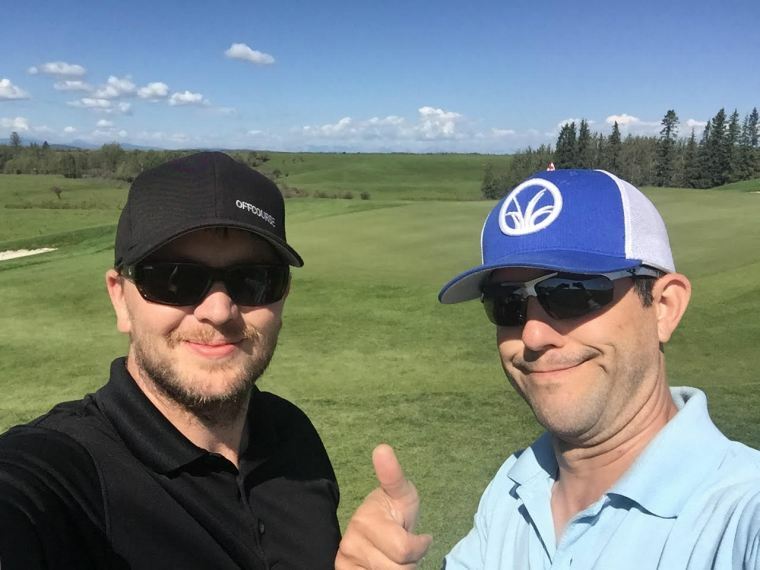 We recently got the chance to work with a fantastic private golf club just outside Calgary, Alberta. Cottonwood Golf & Country Club is a beautiful 18-hole golf course on the bank of the Bow River just 15 minutes from the city. It’s an an amazing escape from the city and they wanted a website that reflected that. Here’s the Cottonwood website before. It lacks the visual appeal that this country club deserves. It’s also missing a lead generation component like a membership inquiry form. The old website relied too much on the visitors persistence and imagination to inquire about membership. We had to make it easier for them to see the beauty and benefits of Cottonwood G&CC. Another major problem with the old website was the mobile version. The website presented only a login screen. This was limiting their search engine optimization turning away approximately 50% of their web visitors. Use rich, beautiful images to showcase the landscape and the amenities offered at Cottonwood Golf & Country Club. Include lead generation forms on every page creating multiple opportunities for site visitors to inquire about membership. Condense the site into fewer pages with simpler navigation. Optimize the website for mobile devices. Optimize the website for search. 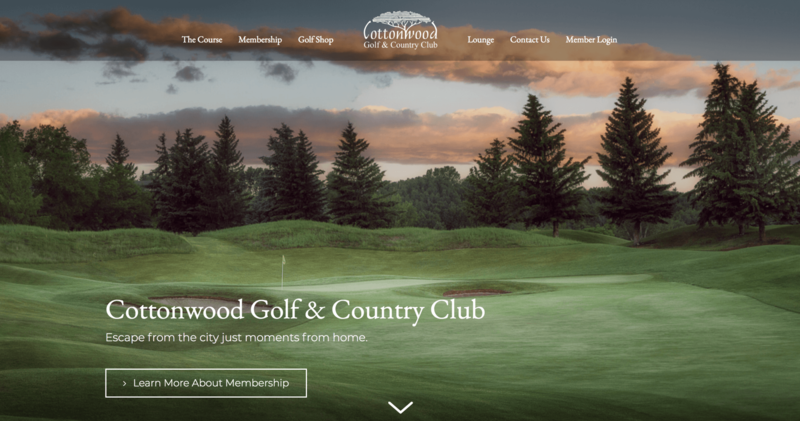 The new Cottonwood G&CC website uses beautiful images and a simple design to showcase the various amenities of the club. Fewer webpages and properly organized content make the site easier for visitors to navigate. The website we developed represents a major visual upgrade for Cottonwood G&CC online. “The new website turned out better than we thought and working with Offcourse Golf was a breeze. Our members are very happy and proud of the site because it represents their home course. We would strongly recommend working with Offcourse Golf if you are looking to upgrade your website and marketing strategy” said Chris. The website is also performing significantly better for lead generation and sales. “Our e-mail traffic is up about 500%.” Because the site is optimized for mobile devices search engines, Cottonwood now lands on the first page of Google for many key searches. A golf course’s website is the first impression golfers get of a golf club. A tired old website or a website that doesn’t work properly leads golfers to believe the course will be lackluster as well. The website is both the starting point of a golf club’s marketing strategy. Cottonwood found out that a new website can be affordably developed in under one month and the results can be dramatic.